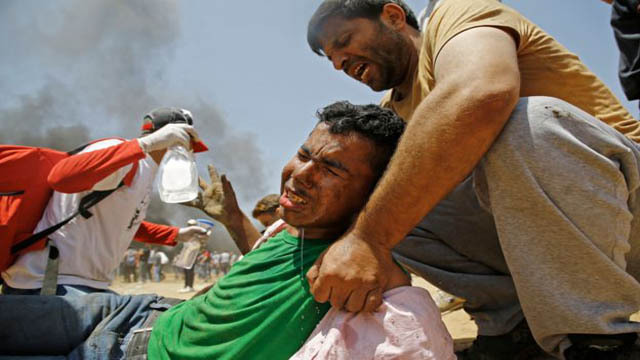 Jerusalem, May 14 (Just News): Fifty-two Palestinians were killed by Israeli fire during violent clashes Monday on the Gaza-Israel border coinciding with the opening of the US embassy in Jerusalem, the health ministry in the strip announced. 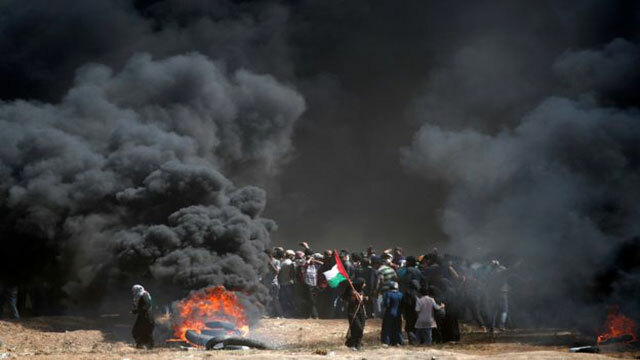 Tens of thousands took part in protests throughout the Gaza Strip, with some confronting Israeli soldiers along the border in the bloodiest day in the conflict since a 2014 war. More than 2,400 were wounded, the ministry said. The protests ended for the day before sunset but fresh demonstrations are expected Tuesday.